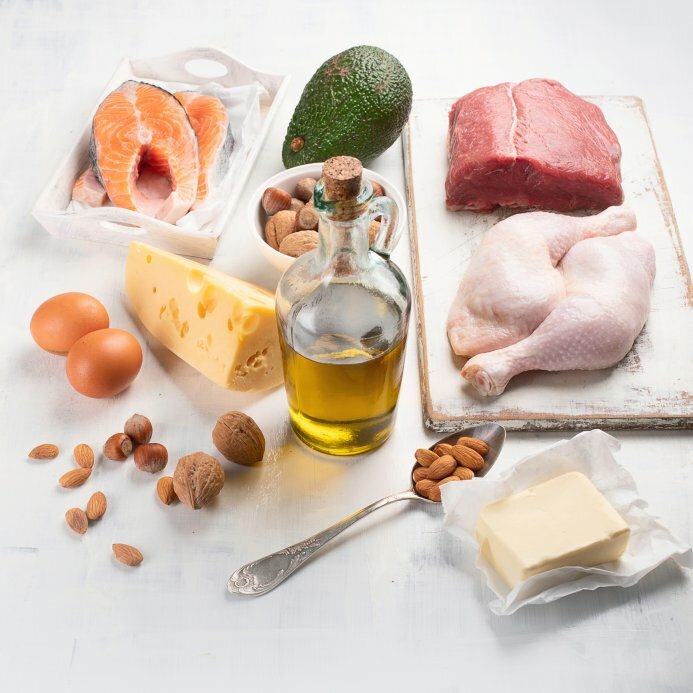 The ketogenic diet is well known in the epilepsy treatment field because it has been used in the past, and is currently experiencing a revival as a treatment for epileptic seizures, especially in children. The diet is extremely effective and more importantly, it's non-toxic and well tolerated. The implementation of the diet is administered differently, depending on the hospital. 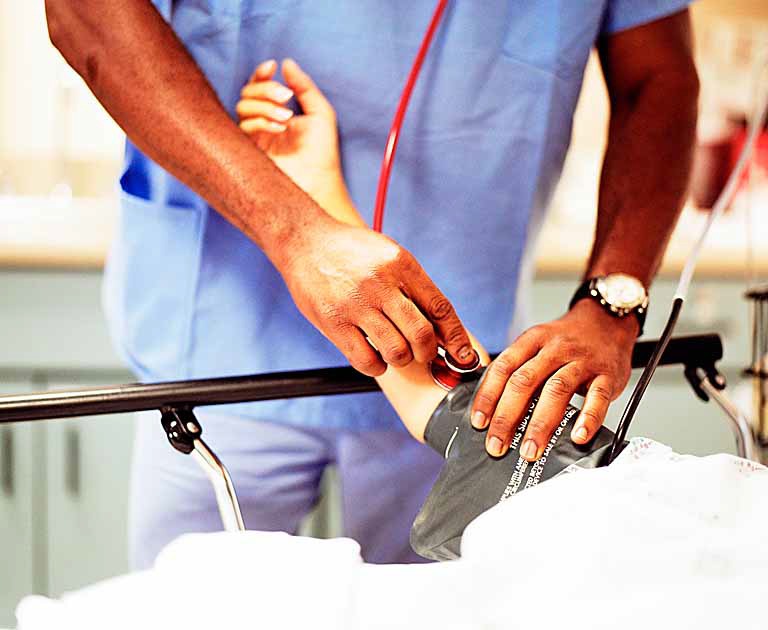 Some hospitals start the diet out by putting children on a 36 hour fast, and reducing calories and liquids to increase blood ketone levels, others don't. Recent papers have suggested that fasting and caloric restriction are not necessary in all cases. In addition, some hospital protocols seems to favor drugs before the diet, which I find puzzling, given that the drugs have toxic side effects, don't work as well, and are less effective than the ketogenic diet. The following studies highlight just how effective the ketogenic diet is as an epilepsy treatment. In this study, A total of 150 children were entered into a study of the ketogenic diet's efficacy and tolerability. The results were remarkable. Of the original 150 patient cohort, 20 of the children (13%) became seizure-free and an additional 21 (14%) had a 90% to 99% decrease in their seizures. In addition, twenty-nine of the children became free of medications, and 28 were on only 1 medication. And in this study, 14 children with intractable epilepsy and RC complex defects who were treated with the classic ketogenic diet involving a 4:1 lipid to nonlipid ratio (% by weight), but without an initial fast and fluid restriction. The results again were amazing. Of the 14 patients, half became became seizure-free after commencing the diet. One patient with a greater than 90% seizure reduction, and 2 patients had seizure reductions between 50% and 90%. That's a 50% cure rate, and a seizure reduction rate of 71%. The ketogenic diet can be given to babies as an epilepsy treatment as well. In this study, during a 4-year period, 23 children with infantile spasms, aged 5 months to 2 years, were started on the ketogenic diet. At 3 months, 38% of the children were greater than 90% improved. At nine months, 53% had greater than 90% improvement, and at 12 months, 46% were more than 90% improved, and the rest were 50% improved. Fifty-seven percent had their medications reduced or discontinued by 12 months and fifty-seven percent had improvement in development, which was correlated with seizure control. These studies show that a ketogenic diet can alleviate or cure seizures in more than half of the children who go on it. This is an amazing curative effect, and even better, the treatment itself is not harmful to the patient. Just recently, this NYT article discusses a new study on ketogenic diet and epilepsy which shows the diet's positive effect on seizures as well. "These studies suggest that in children, the ketogenic diet results in short to medium term benefits in seizure control, the effects of which are comparable to modern antiepileptic drugs." In contrast, epilepsy drugs frequently fail to provide real help, and worse, the drugs cause further harm to the children through toxic side effects. Elizabeth Thiele, M.D., Ph.D, Director of the Pediatric epilepsy program at the Massachusetts General Hospital (MGH) gave an excellent talk on just how effective a ketogenic diet is for treating epilepsy at the Ancestral Health Symposium in 2012. Elizabeth A. Thiele, M.D., Ph.D.—Dietary Therapy: Role in Epilepsy and Beyond. The mechanism by which ketosis calms seizures is still being studied, but there are several ways in which ketones provide protection for brain cells. Several studies have shown that a brain under metabolic stress can use ketone bodies as an alternative energy source, and this ability protects neurons from damage and premature death. Ketone bodies also have a strong anti-inflammatory effect which is also neuroprotective. They literally strengthen and protect brain cells. "Cerebral metabolism of ketone bodies (β-hydroxybutyrate, acetone, and acetoacetate) alters mitochondrial metabolism, which improves the metabolic efficiency, increases the free energy of ATP hydrolysis, and decreases the production of free radicals." In several studies I've read, it was noted that some kids given a ketogenic diet as an epilepsy treatment end up quitting the diet because it is unpalatable. As a person who voluntarily eats a ketogenic diet, this is astonishing to me. I wondered "what are they feeding these kids?" I figured it out when I took a look at a product called Ketocal, and tracked down the manufacturing process for the MTC oils being used in epilepsy treatment. Although it seems the product ingredients may be changing in these shake powders, they are based on refined vegetable oils and processed coconut oils. The refining process removes the natural antioxidants and makes the oils highly susceptible to oxidation. Given the research that indicates mitochondrial oxidation and free radical activity may be involved in the epileptic disease process, this is not a good solution. Plus, these processed fats do taste awful, and they are inflammatory. If free radical damage is involved in epileptic seizures, it's an even stronger reason to use saturated fats instead of polyunsaturated vegetable oils (PUFAs). Vegetable oils are highly processed pseudo-foods, and they are extremely reactive. They are easily oxidized in the presence of heat and light, and once oxidized, they start to damage the surrounding tissues. Many studies have demonstrated that vegetable oil consumption increases free radical formation and damage with the result of increasing inflammation in body tissues. In contrast, saturated fats like butter and heavy cream are stable and delicious, and don't cause this type of oxidative damage. They are perfect for use in an epilepsy treatment plan. One important point I want to make is on side effects of the diet. A 2004 paper talks about the long term complications of ketogenic diets in the treatment of epilepsy , and sadly mentions the deaths of several children who had been put on the diet. The paper doesn't elucidate the actual food the children were eating, but I suspect that the dietary options given included industrial processed oils and fructose in the form of these keto shakes. I also am aware that several case studies of children who died while on the diet found these deaths were attributed to micronutrient deficiencies. In the case of the child with cardiomyopathy, there was a selenium deficiency which precipitated her heart issues. Other issues such as renal stones have largely been corrected via potassium citrate supplementation. My point here is that the issues were more about how the diet was administered in the past and the quality of the food given rather than the safety of the diet itself. Keep that in mind when other sources bring up the "dangers" of ketogenic diets. The Modified Atkins diet is now being used in some epilepsy treatment programs. Dr. Eric Kossof at Johns Hopkins Medical Center is the lead investigator on the use of the Modified Atkins diet, and I salute him for this work. The key differences in the implementation of the "modified Atkins" epilepsy treatment include no fluid or calorie restriction, an encouragement of fat intake without restrictions on proteins, and parents and patients don't have to weigh and measure the foods as they would on a standard ketogenic medical diet. They only have to track carbohydrate counts. Even better, the modified Atkins diet is started outside of the hospital, without a fast, as well. Lastly, foods can be eaten more freely in restaurants and outside the home, and families can do it as well. The diet is called a "modified" Atkins diet as it allows for less carbohydrates than traditional Atkins (10-20g/day) and more strongly encourages fat intake. This more closely follows what the average person does when putting themselves on an Atkins diet, and indeed the Modified Atkins has been shown to help adults with epilepsy as well. Elizabeth Thiele, M.D., Ph.D, Director of the Pediatric epilepsy program at the Massachusetts General Hospital (MGH) has created a diet which is based on the Glycemic Index. It's called the Low Glycemic Index Treatment (LGIT). This diet is a little less restrictive. If you are embarking on this diet for a loved one, you may find the Ketocook.com website helpful. Dawn Martenz, who built the site, has a daughter who follows the ketogenic diet. She has also co-authored The Keto Cookbook: Innovative Delicious Meals for Staying on the Ketogenic Diet in conjunction with the Charlie Foundation. Here a few more issues on which I wanted to comment. This is just my "thinking out loud" process and may already be addressed by medical teams involved in epilepsy treatment. Often, children develop nausea when first starting on the diet which is alleviated by giving orange juice. Also, some kids may have isolated seizures in the early morning. This makes me wonder if these issues aren't related to reactive hypoglycemia and fasting insulin levels. The lower carb intake causes blood sugars to drop, but there is a several week delay in the return of insulin levels to baseline. During that several weeks, there will be times when the insulin levels are too high for ketosis to kick in fully, but meanwhile blood sugar is dropping. This initiates reactive hypoglycemia episodes, which makes the person feel shaky and nauseous until some carb (orange juice!) is given. The key here is that the blood sugar readings may look normal when measured, but the body perceives a blood sugar emergency relative to former blood sugar levels. I wonder if these kids are having hypoglycemic reactions to the reduction in carbohydrate intake while still having high fasting insulin? I checked with a few clinics, and some measure fasting insulin levels before they place children on the diet, some don't. But at least one was aware of what caused the issue, so the literature must be behind on reporting this. Diabetics often suffer from a condition known as "Dawn Phenomenon" in which circulating blood sugars are higher in the morning hours. Richard Bernstein, MD writes that research suggests that the liver deactivates more circulating insulin during the early morning hours than at other times of the day. I wonder if this higher blood sugar reading in the morning is what is causing the isolated seizures for some children? Here's a study which indicates a deficiency in a normal body protein called adenosine may be involved in the process of epileptic seizures. These researchers put a special kind of epileptic mouse on a ketogenic diet consisting of 8% protein, less than 5% carbohydrate and almost 90% fat, and the mice stopped having seizures almost completely. If you prefer to listen rather than read, Jimmy Moore spoke to one of the researchers about this study on his podcast. "We found that seizure numbers significantly decreased upon vitamin D3 supplementation. Median seizure reduction was 40%. We conclude that the normalization of serum vitamin 25(OH)D level has an anticonvulsant effect." The Charlie Foundation has been formed to act as an advocate for ketogenic diets for children with epilepsy, and they actively support the diets as a first choice epilepsy treatment. Matthew's Friends is a similar site in the United Kingdom. Another more personal and highly recommended site is Arlene Martell's Epilepsy Moms blog. In addition, John Hopkins Ketogenic Diet Center has been instrumental in teaching other hospitals about the diet and in advocating for the ketogenic diet as an epilepsy treatment as well. The website for Dr. Elizabeth Thiele's Epilepsy program based at Massachusetts General is here and has some great information. 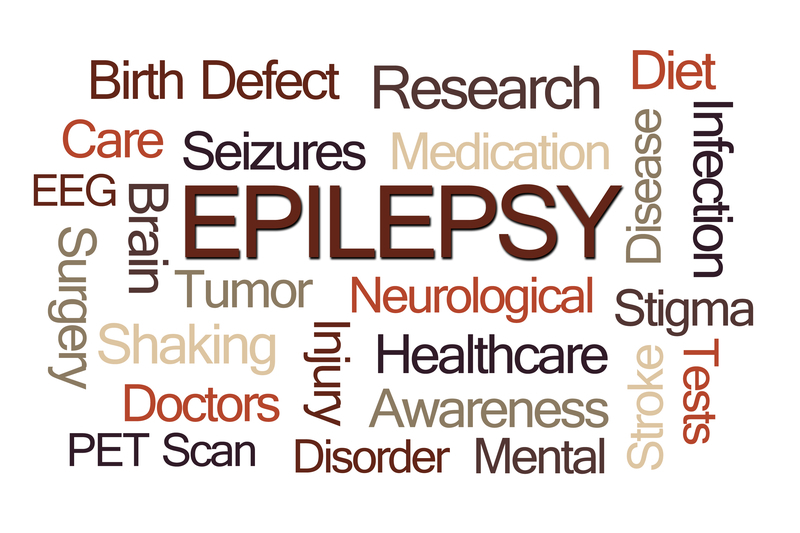 Dr. Thiele is, in her own words, a "zealot" about dietary therapy for epilepsy. The Ann and Robert H. Lurie Children’s Hospital of Chicago also offers a Ketogenic Diet program for children with epilepsy. This Epilepsy Therapies website also has some helpful information on using dietary therapies in epilepsy treatment. You can find other physicians and hospitals which provide epilepsy treatment via the ketogenic diet listed on the Keto World Wide website. And here's a great post from a parent in which she talks about her experiences in using a less rigid ketogenic diet as an epilepsy treatment with great success. She is also tracking the diet effects for her child on this blog. This story and video from Mike Dancer is compelling. Mike had his first seizure at 34 years old, and his story of the drug side effects and how he healed himself is very powerful. And here's another compelling success story of a little girl named Jade. I was recently contacted by Andy Wild, a UK artist who has created a website where people can share their experiences about the ketogenic diet by creating post card art. The website is called the KetoArts Project and I think it's a great idea! Finally, this resource has listings for hospitals and clinics which offer ketogenic diet support.